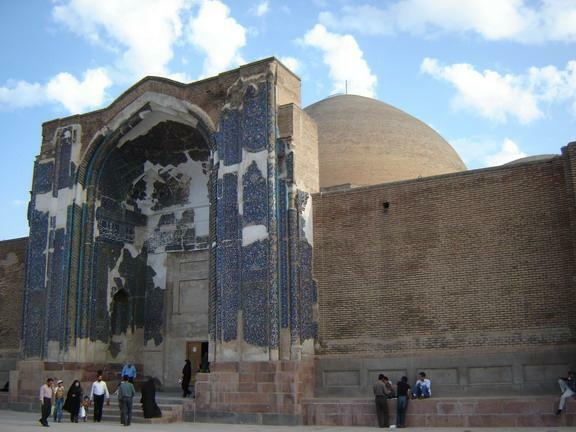 The Blue Mosque ( Masjed-e Kabud; Azerbaijani: Göy məscid) is a famous historic mosque in Tabriz, Iran. 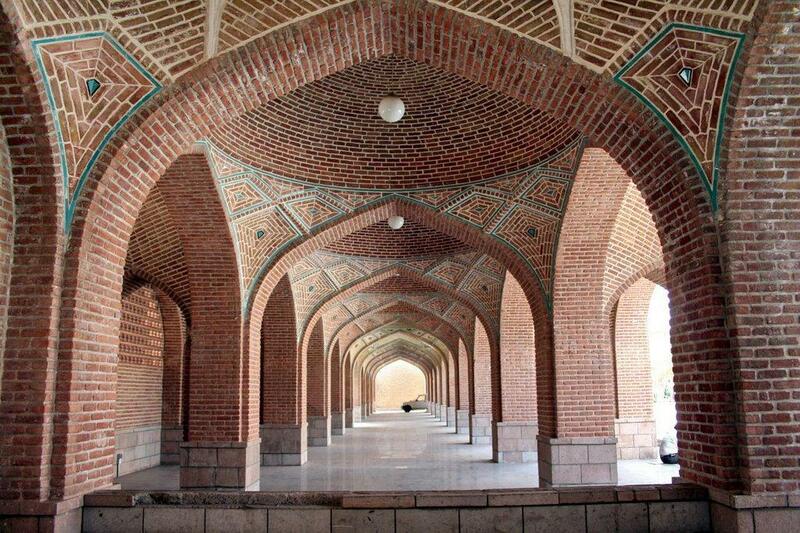 The mosque and some other public buildings were constructed in 1465 upon the order of Jahan Shah, the ruler of Kara Koyunlu. 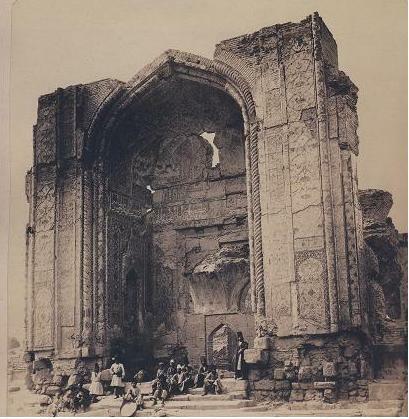 The mosque was severely damaged in an earthquake in 1779, leaving only the entrance iwan. 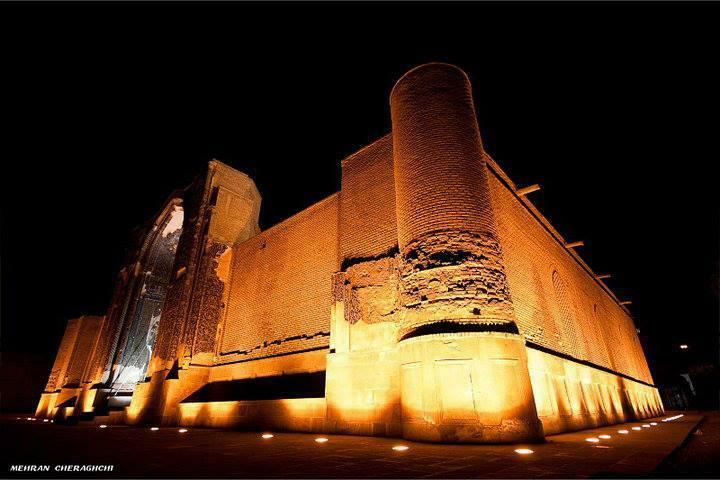 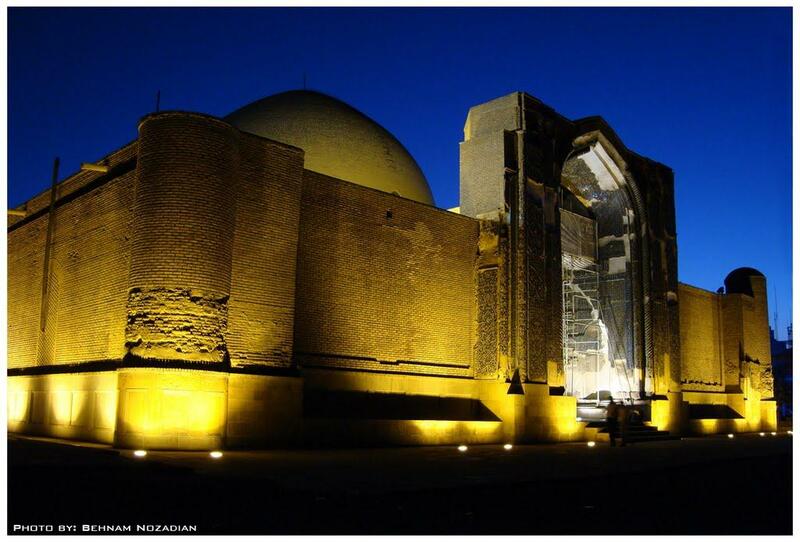 Reconstruction began in 1973 by the late Reza Memaran Benam under the supervision of Iranian Ministry of Culture. 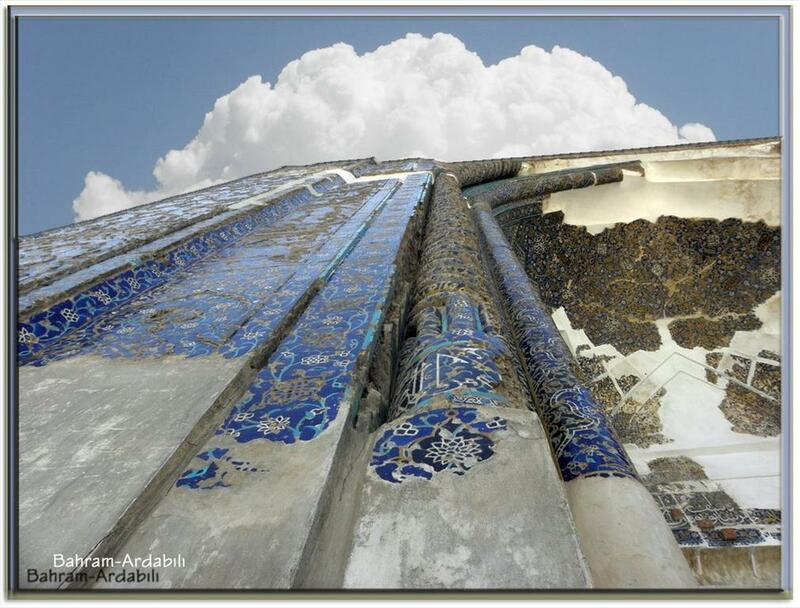 However, the tiling is still incomplete. 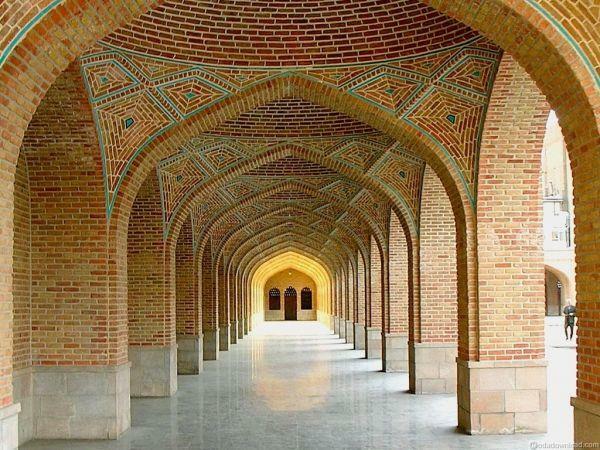 The Blue Mosque of Tabriz was built upon the order of Jahan Shah the ruler of Kara Koyunlu dynasty which made Tabriz the capital of his Kingdom. 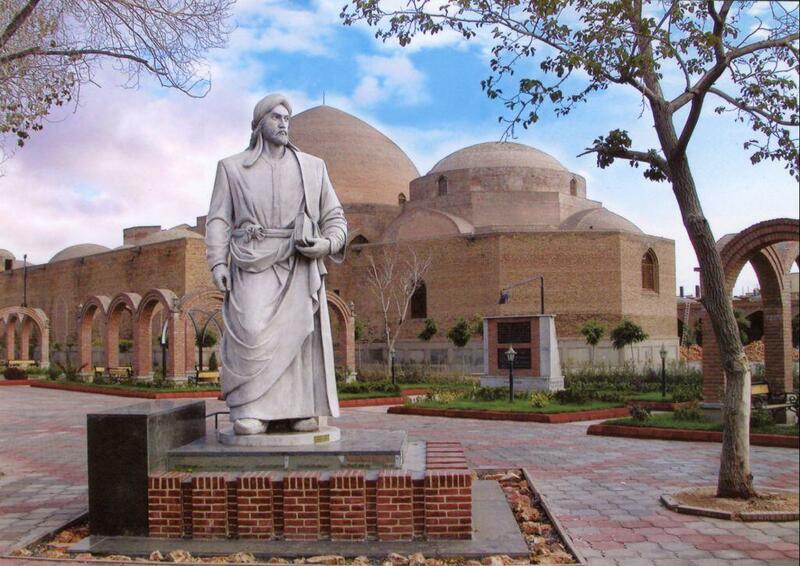 His Kingdom covered major parts of modern Iran, Azerbaijan, and Turkey. 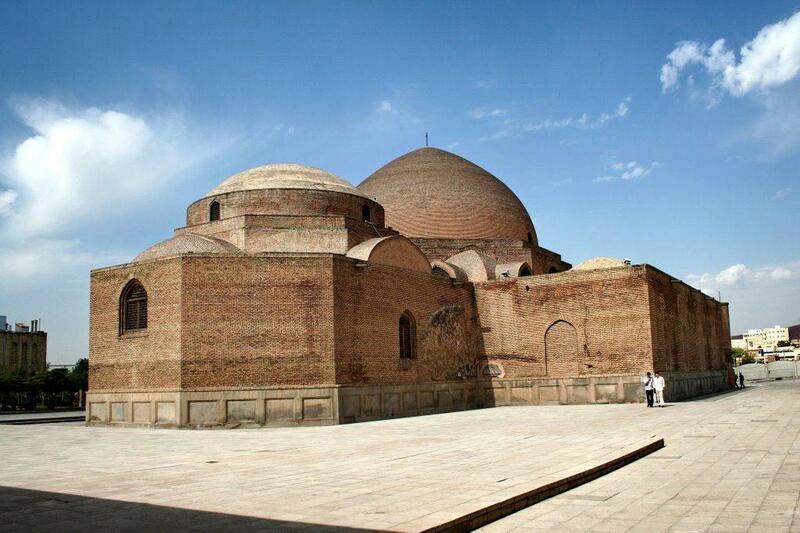 He was killed by Uzun Hassan (the ruler of Ak Koyunlu) and buried on the only parts of the mosque that survived. 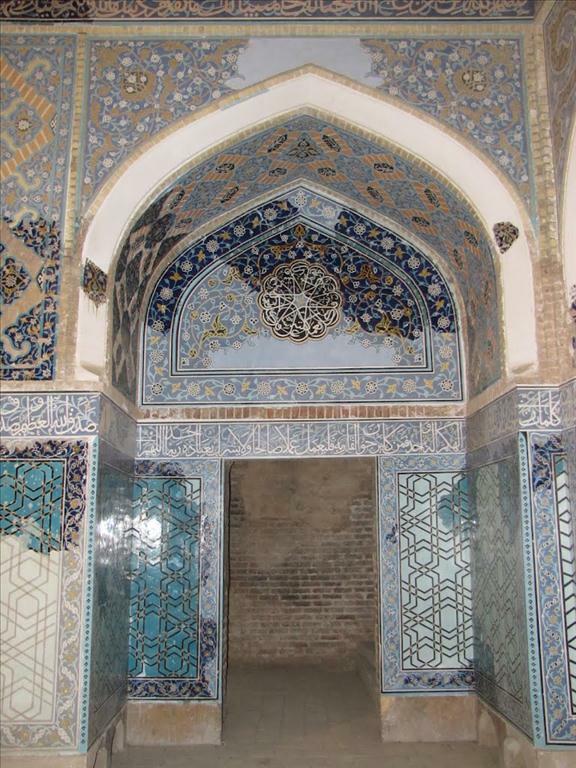 The mausoleum was built in the southern section of the mosque ...see more and is entirely covered with high marble slabs on which verses from Quran are engraved in Thulth script on a background of fine arabesques. 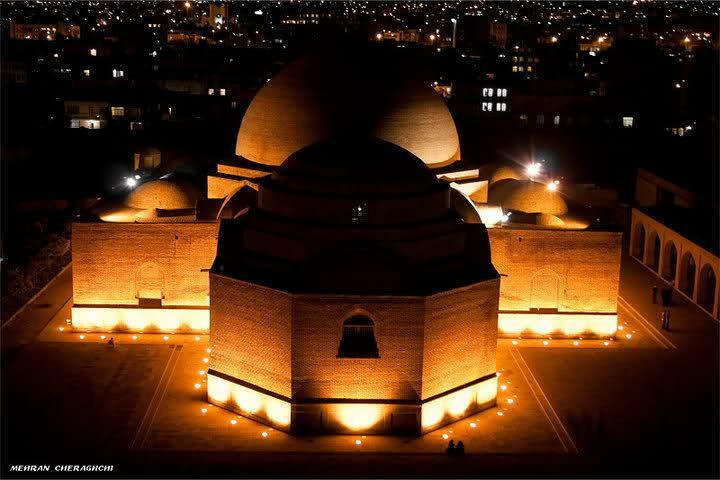 The roof of the mausoleum and the main dome chamber of the mosque collapsed during an earthquake in 1779 A.D. and was rebuilt in 1973 thanks to the efforts of Reza Memaran Benam (a famous architect from Tabriz) under the supervision of the national organization for preservation of ancient monuments. 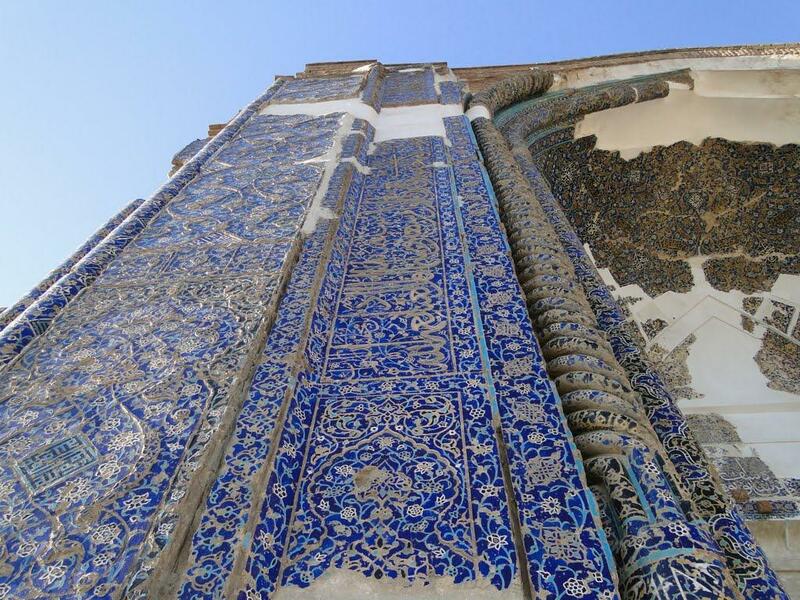 The diverse Kufic, and Thulth scripts, the exquisite arabesque patterns, and the admirable choramatic compositions of these facades, which are truly stupendous, were created by Nematollah-ben-Mohammad-ol-Bavab, the famous calligraphist. 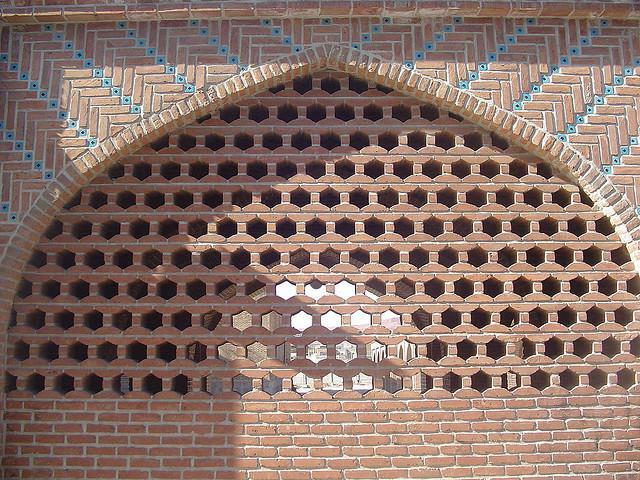 The walls (inside & outside) had been covered with mosaic tiles.